Hope u all had a lovely weekend :) Here's a Cup cake i made for the Craft JC Challege. I use Digi's very rarely but the challenge tempted me into it - so i used both the image and the sentiment! I used my latest Glossy Accents to the Cupcake toppings and it looks very pretty in real n not here unfortunately! ITs another framed card to accentuate the image. The cupcakes look yummy! Love all the details and the colors! Thanks for playing along CraftyJC Challenge! thats a pretty one !! so so cute love ur color combination and the digi very much. Lovely yummy card! Nice colour combo. 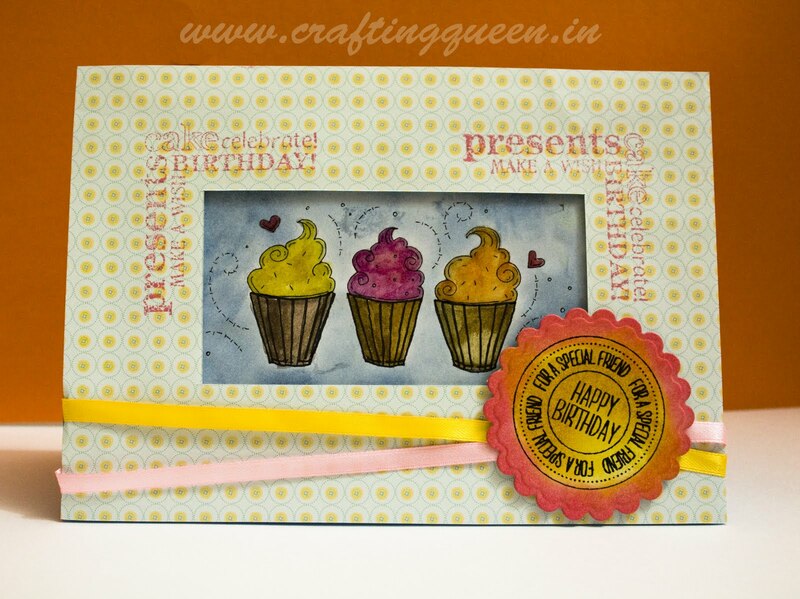 beautiful card... love the colors..
beautiful cards - all the elements are lovely. Which sentiment is this?